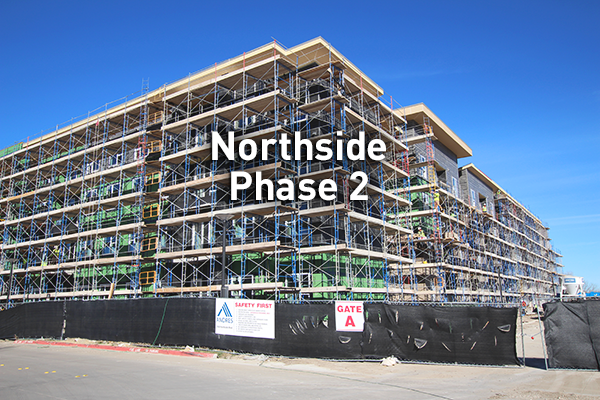 These photos show the construction of Northside Phase 2, an apartment complex that will offer different housing options from those currently available in Phase 1. These additions to the Northside buildings will expand available living spaces near campus by 900 beds in 276 units, plus provide study lounges, a gym, and a pool. The project is expected to be completed in 2018.